Tonight was one of the mixers for the social club I sponsor. 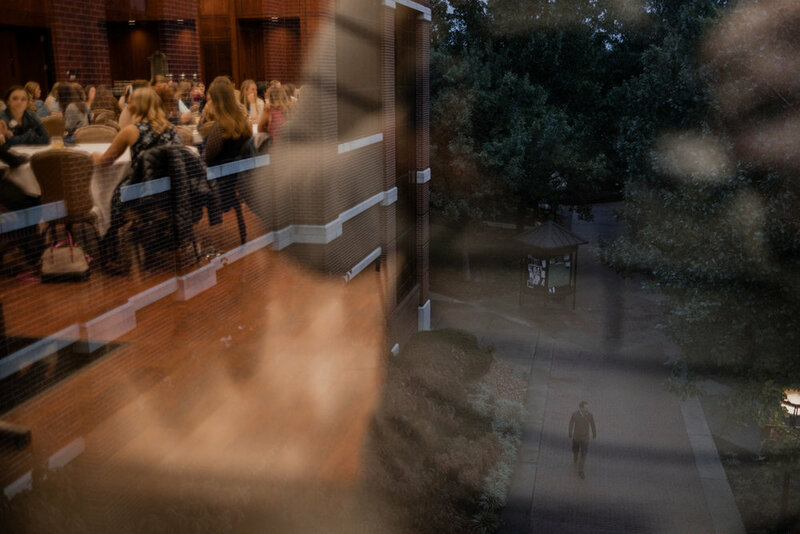 While the girls were mixing and mingling around in Cone Chapel, I headed to the window to take a peak outside. As the sun set, the window became a mirror and I took advantage of the mirror & mix[er].